Just got the diagnosis that my Nellie has a high grade soft tissue sarcoma on her right rear leg. We’ve done a full body Ct scan and biopsy so it’s confirmed. It has not yet spread. The specialist is recommending full amputation. I am ok with that, but am getting conflicting information from different sources whether we should of not, because she is a 10 year old Basset Hound. I am seeing our primary vet Thursday, but another get from the office who suspected cancer adviser against it. Does anyone here have any experience with Bassets or other low riding breeds? If it helps she is in otherwise excellent health, who is still active and strong (when we go on vacation to the mountains, for example, she’s running uphill dragging me behind her.) She also has 3 adult humans who will actively care for her recovery. I want to do what’s best for Nellie. Any help, advice, or gentle letdown will be greatly appreciated. She is scheduled for surgery next week. Hi Nellie and family, welcome. I’m in the Tripawds Chat right now if you want to talk. Back in a second with some feedback . . .
I’m sorry to hear about the diagnosis, none of us ever expects to deal with cancer. But you’ve found the right place and we are here to help! It’s good you’re getting multiple opinions. Sometimes even a third can help you put your mind at ease with whatever you decide to do. And we will support you no matter what you choose. I am seeing our primary vet Thursday, but another get from the office who suspected cancer adviser against it. Does anyone here have any experience with Bassets or other low riding breeds? As you mentioned, your specialist thinks Nellie is a good candidate. There’s a good reason for that. 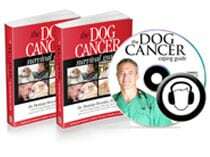 Your specialist, who deals with limb cancer all the time, sees many more cases than the typical general practice veterinarian. They have a larger pool of success stories to draw from. Did you ask them about similarly built dogs who did well on three? The bigger question is, on what basis is the other vet basing his recommendation to not do amputation? Age? Breed? Both? That is what I would want to know. The most modern outlook by veterinarians when faced with amputation is that neither size, nor age, nor breed type should be the only factor that rules out a dog as a candidate for amputation surgery. Unlike the old days, when a large, older or oddly shaped dog was automatically ruled out as a candidate, today’s thinking is that many factors should play into the decision. The specialist seems to be one of these vets. What is Nellie like? Do you think she has the stamina to bounce back and be happy on three? It sure sounds like she is in great shape. These are important things to factor into the decision. Her unique body type could pose some challenges during recovery and over time, but we have seen nearly every kind of breed, such as Corgi dogs with similar builds, and Dachshunds, do just fine on three legs. If a front-end wheelchair is required, those are readily available now and most dogs adapt pretty well. Recovery may or may not have ups and downs just like any other dog recuperating, but overall these distinguished dogs go on to live healthy, hoppy lives on three. We haven’t had many Basset Hound members over the years, but a quick search of these forums finds 12 Topics started by ‘bigjim’ who was owned by Basset Hound Maya. While you wait for comments from others, use the Advanced Search above to refine your forum search results with specific phrases, and you’re sure to find lots of helpful feedback. You can also search all blogs here . Thank you. That helps ease my mind that we are not giving her more suffering than she deserves. The first vet (other vet in our reg vet’s office) advised against amputation based solely on breed and age, but did say the specialist may feel different. My entire family feel that if any dog is going to bounce back it’s my super stubborn Nellie. This is a dog who is very enthusiastic about everything. We have 2 other dogs 3 years younger that she keeps up with, and her boyfriend, the Doberman next door, likes to jog with her along the fence line (his owner won’t let them go for walks together). Last October she dragged me up waterfalls and trails in the Smokies. She always wants to go further. She also has 3 people committed to her recovery. We want to talk to our regular vet who knows Nellie better. He tends to be very much up on the latest treatments. It also helps the specialist is the husband of our former vet, who left to be the practice manager for their own clinic. I feel comfortable I’m getting the best information possible. I know I’m going to want to chat in the future; right now I’ve got puppies and bunnies and humans to feed. Thank you for your quick response. I’ve been going back and forth between crying and research and your feedback helped. I will look up vicTim’s posts soon. I am glad I found Tripawds! Hi there and welcome. I’m sorry you find yourselves in this situation, but Nellie is very lucky to have three such caring humans to look after her. I have to say I LOVE the sound of her, super-stubborn and enthusiastic is absolutely my kind of gal. Just wanted to share a bit of my Meg’s experience. Though she is not as short legged as a basset hound, she is certainly atypically proportioned – short legs, long body, big head (in more ways than one…) She lost her right front leg almost three years ago, and despite the fact that we were told amputation was not a viable option for her as she could not possibly cope on three legs (her remaining front leg has dysplasia etc), she has done extremely well, and continues to extract maximum joy out of life. Last Summer I did get some front wheels for her, but to date we have not used these regularly. We do have a stroller, which she greatly enjoys, nudging my leg when she fancies a rest, and standing up and barking when she wants to get out again. You are absolutely right to be thinking as much in terms of Nellie’s character as anything else when deciding what’s best for her. With Meg, I decided I owed it to her indomitable spirit to at least give her a chance at life on three and I am so glad that I did.